What is a Silverback Gorilla? A silverback is the dominant fully grown male gorilla in a family of Gorillas. Similar to a father in a family, the silverbacks take duty of heading their gorilla families. Each group or family of gorillas is led by only one silverback that has dominance over other members in the gorilla group. You may discover that some of the gorilla families have more than a single silverback however; the strongest of them all will take the headship. During Gorilla Tracking Safaris in Uganda and Rwanda, you will have an opportunity to see these giant apes. How can you identify a silverback gorilla? What does a Silverback Gorilla look like? A Silverback gorilla can best be identified from its silver-colored hair found on its back from which its name “silver-back” was actually derived. During your Gorilla Safari in Uganda or Rwanda, you can easily identify a silverback mountain gorilla from the rest of the member in a gorilla group. As you approach a family during your visit, you are most likely to see the silverback first since it leads the family and its responsible to find out whether whoever is approaching is group is an attacker or a visitor. Because of that, it is always emphasized that people tracking mountain gorillas adhere to the guidelines and regulations given to them by the park rangers to avoid any attacks from the silverback as they protect their families. Who Becomes the Dominant Silverback? his is a common occurrence among gorillas. 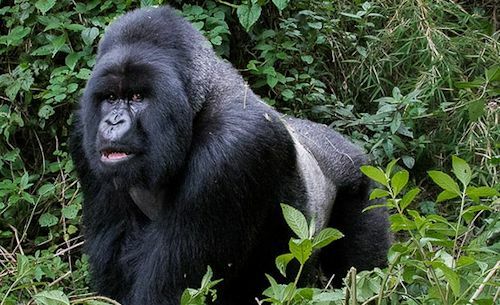 among the gorilla groups living in Rwanda that have split include the Karisimbi group that separated from the Susa group, also group 13 commonly referred to as Agashya separated from Sabyinyo group, whereas the formation of Umubano resulted from silverback Charles breaking off from the Amahoro family. Hirwa a recently formed gorilla was formed when gorillas coming from two different gorilla groups came together. 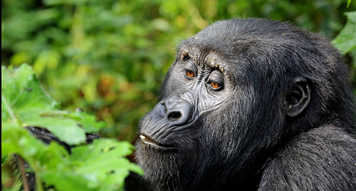 What are the Roles and Duties of a Silverback Gorilla? Protection: Similar to a father, it is the duty of a Silverback gorilla to offer protection to each of their family members and in the event of danger, the Silverback is at all times prepared to attack their enemy. Mating: It’s the responsibility of the Silverback to mate with the females and to produce new off-springs, as well as his responsibility to satisfy the sexual desires of the female gorillas. Shelter: the Silverback is also responsible for building the nests in which his group will spend the night; they build a new nest each day. 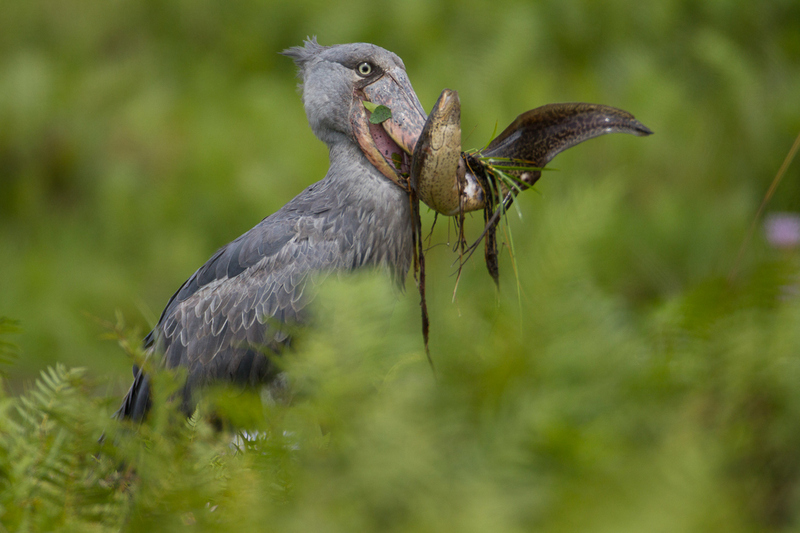 Food: It’s the silverback’s responsibility to search for food and inform its family members. Care: The silverback may now and again help the mothers to carry their young ones. Maintain Harmony: it is the duty of the silverback to ensure that his family members live in harmony. In case a fight arises; it his duty to settle fights among family members.